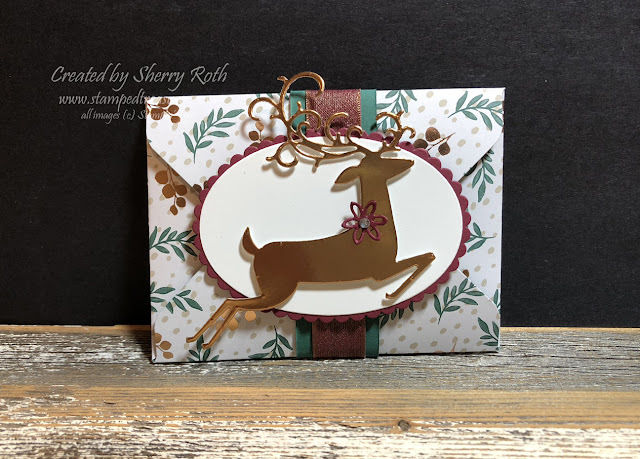 At Saturday's Stamp Cafe one of the classes was the Dashing Deer class and this was one of the cards we created. 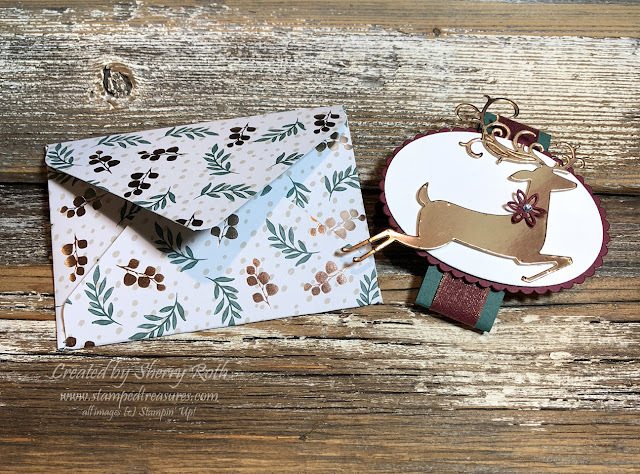 It's an envelope gift card holder. We used the envelope punch board and created an envelope for a 3" x 4" card using a 6"x6" piece of the Joyous Noel dsp. Instead of sealing the envelope we simply folded the flaps and they are held closed with a belly band. Then when you open the flaps, it reveals a card that is stuck to the inside of the envelope. And then you open the card and there's a pocket to tuck the gift card in. I love these little gift card holders. They are so quick and easy to make. I will definitely be making a few more of these for Christmas gifts.